Scalefree built itself upon the idea that success is only a true success when shared with others and that idea has shaped every decision within the organization since we’ve first started. So it was rather easy to finally put that idea into a concrete commitment when presented with the growing movement, Pledge 1%, and it’s focus on building better bridges with those in which we share a community. To put it briefly, the Pledge 1% movement is one that challenges companies to devote 1% of their total profits, capital, resources, and equity towards initiatives that give back to the community. So as an avid proponent of the movement and supporters of sharing our found successes, we take it upon ourselves to consistently find opportunities in which we can help those in our community. One such opportunity arose with the chance to support with Frankfurter Ring e.V. as they were attempting to upgrade their current database and system to scale accordingly with the expanding size of their organization. The non-profit, Frankfurter Ring e.V., which actively helps countless individuals across Germany seeking self-improvement through lectures, classes, and workshops, all of which are lead by leading authors, therapists, and scientists within various fields such as personal growth, health sciences, and a selection of spiritualities. And while a majority of the organization’s work takes place in those hands-on environments, the inner workings of the organization such as client management, scheduling, and marketing all took place within the confines of an overworked desktop database. This particular desktop database was in dire need of the type of innovation Scalefree brings to the industry so it was our pleasure to help Frankfurter e.V. take a step into their future with a dedicated, cloud-based Salesforce CRM system. Tackling the project presented our team with quite a few tasks to ensure the entire database could be migrated from its original resting place to its new and scalable system. To begin, the Scalefree team had decided to utilize Salesforce as a functional CRM system, replacing the old method of managing client relations with the streamlined process that can be achieved with a CRM system that has been specifically tailored to manage the many moving pieces that made up Frankfurter e.V.’s customer relations. To do so, we crafted a match for the original data layout within the Salesforce CRM system to make the ETL process as smooth as possible without losing any data quality along the way. And adding to the requirements set by the transfer, the entire system had to be able to integrate with Hubspot as Frankfurter e.V. were taking their marketing efforts onto the platform, taking advantage of the new system to breathe new life into their marketing campaigns. So with the goals in mind, our team began undergoing the necessary steps of replicating a suitable environment within Salesforce to make a seamless transfer. After weeks of communicating the progress as well as updates between our team and the Frankfurter e.V.’s team responsible for the upgrade, the final product and system were ready to go live. Finally up and ready the new system allowed Frankfurter e.V. to take their operation to a new level and standard of data quality while improving their ability to scale without concerns for overworking their old system. And when taking into consideration the number of people that will find guidance through the organization’s improved reach, the work was well worth it. If you’d like to learn to how we were able to accomplish the technical transfer of an entire company’s data over to a cloud-based CRM, please send a request with your contact details to [email protected] and receive our published breakdown with a Look under the hood: Frankfurter Ring e.V. 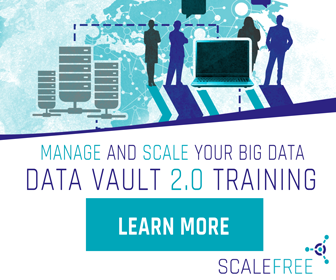 Or if you’d like to learn how Scalefree can help your business step forward into the future and leverage Big Data for a better quarter, feel free to send us a message or visit our website www.scalefree.com!